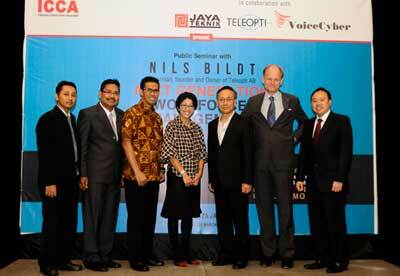 On March 28, Teleopti together with ICCA (Indonesia Contact Centre Association), VoiceCyber and our Indonesian partner Jaya Teknik arranged a launch seminar for the WFM solution Teleopti WFM at Crowne Plaza Hotel in Jakarta, Indonesia. 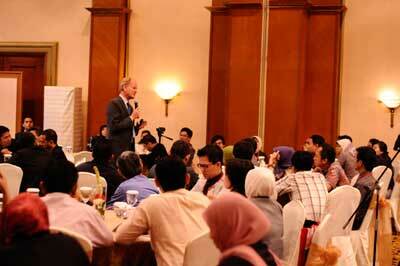 With over 180 participants, almost all WFM Planners in Indonesia were attending. The atmosphere was very good and enthusiastic when Teleopti WFM was presented, as it is the first and only WFM solution in the Indonesian language.